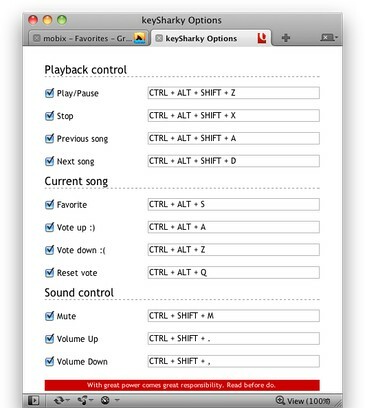 Add missing keyboard functionality to Grooveshark! Note: you can't test new (or old) combos within keySharky Options tab. So keep another tab opened for that.